ID must be given at time of check-in in the form of a valid passport or Driving Licence. Guests must be over 21 years and should use the booking confirmation email as a receipt of payment and confirmation of the booking made with Bourdeaux Ltd.
Full payment is due in advance of occupation. Credit card details will be held on file to cover any damages or other costs. Upon receipt of payment we will send you written confirmation of your booking by email. You may extend your stay at any time, subject to availability. No extra fees are charged for last minute bookings. Bookings for stays of 7 weeks or less must be paid in full at the time of booking (prior to occupancy). Bookings for stays of more than 7 weeks are invoiced in 6 week blocks (42 nights). The first 6 weeks are due for payment at the time of booking. The next invoice (for the next 6 weeks) is due for payment no later than 28 days after check-in. Subsequent payments must be made every 28 days. We reserve the right to take a holding deposit of £250+VAT for any booking, this decision is made at our discretion. In the event of this, a member of our staff will meet you and take all information required upon arrival (arrival must be between 2pm – 5pm, photo ID and proof of address must be provided). Deposits are taken by way of a credit/debit card and is refunded once keys are returned and the apartment is checked over for damages. The booking will be cancelled on the day that the written notice of cancellation is received by us. All Bookings made through 3rd Parties are non-refundable and non-transferable. In exceptional circumstances it may be necessary for us (Bourdeaux Residential Lettings) to cancel a booking, in the event of this we shall make all reasonable efforts to offer a suitable alternative within our property portfolio, if we cannot offer alternative accommodation we will provide a full refund for the dates we cannot accommodate. If a guest wishes to amend a booking (dates of stay, accommodation required, check in/out time), we will make all reasonable efforts to comply with the request(s) however the guest will be charged for any additional charges occurred. If the guest makes amendments to the booking once the stay has commenced we may not be able to comply with the request(s). If on any occasion the guest vacates the apartment early and wishes to terminate the remainder of their stay, this must be confirmed in writing and the keys be returned on the new agreed check-out date. – We accept no liability for loss, damage or expense and cannot guarantee reimbursement of any costs incurred. Similarly in the event of keys not being returned upon check-out, we reserve the right to charge guests for lock replacement, key replacement, building fob replacement, car park fob replacement. 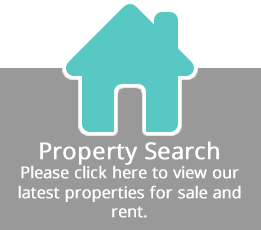 Bourdeaux Residential Lettings reserves the right to make any changes or amendments to any booking at any time. If it is necessary to amend a booking, we would make every effort to allocate an identical apartment, either in the same or a similar development, this may however not always be possible and another alternative may be offered. We are not obliged to provide any reimbursement or compensation. If a guest is staying for six weeks or more and is using our long term payment scheme, we reserve the right to change weekly rates at the end of any given invoice period (with sufficient notice). If, on receiving such a notification, the guest wishes to vacate, the long term stay will be terminated at the end of the invoice period with no cancellation fee. If there is an interruption to any services, once we receive notification, we will use all reasonable efforts to rectify the issue within a reasonable period of time. Facilities and services in common areas within the building (i.e. lift, door system) are the responsibility of the building managers and not Bourdeaux Ltd.
Wireless broadband (Wi-Fi) is available in all apartment locations and is provided free of charge, we cannot guarantee the connectivity at any given time, however we endeavour to maintain the hardware and connection within all apartments. If there is a fault with the hardware provided (wireless router) we will give support and maintenance. We cannot guarantee or be held responsible for the speed at any given time, Broadband is a variable “best efforts” service, which means it is shared between many users and open to fluctuations in performance. If the fault is deemed to be with the guests hardware/devices, support will not be available. Cots and foldaway guest beds can be provided and delivered to the apartments at an extra cost (agreed at the time of booking). Extra beds must be booked at least 48 hours prior to arrival. We cannot guarantee availability at short notice and beds can only be delivered within office hours (9am-6pm Monday-Friday). Cot beds are only provided for infants aged 12 months and under. Extra bed linen can be provided at a cost of £25.00+VAT per set. Extra towels can be provided at a cost of £15.00+VAT per set. Extra linen must be ordered within office hours (9am-6pm Monday-Friday) and can only be delivered within these hours. A weekly maid service is provided for stays of 2 weeks or more. This service includes cleaning the apartment and refreshing the bed linen and towels. The emergency number is provided to give guests a direct line to a maintenance manager out of office hours, this number is only to be used for emergencies (Flood, Fire, Power Cut, and Lost Keys). If the number is used for any non-emergency reason, we reserve the right to charge the guest a call out fee of £150.00+VAT. The heating systems are set by our maintenance staff and must by no means be altered by guests. We ask that if you would like an alteration to the settings that you contact customer services to request it, we will then endeavour to accommodate any reasonable request within office hours. Heating usage is monitored remotely and if we have reason to believe that the settings have been changed by a guest resulting in above average heating costs, we reserve the right to pass on such charges to the guest. The number of persons permitted to occupy each apartment is limited to the number of beds (IE a 1 bed sleeps 2, a 2 bed sleeps 4). The apartment cannot be re-let/sublet to any other group/party without the written approval of Bourdeaux Ltd. Under no circumstances may more than the maximum number of persons specified in the apartment description occupy the apartment. We reserve the right to refuse admittance or terminate the stay in the apartment to the hirer and their party if they are in breach of this condition. If additional guests are staying in the apartment, the guests must order foldaway guest beds at an additional cost. Check-in is from 2.00pm. Check-out is by 10.00am. All keys, parking & building fobs and parking permits are must be returned by 10.15am. If there is a delay in departing, Bourdeaux Ltd reserves the right to charge for an additional night’s stay for every day the keys are not returned (in the case of long term bookings, the guest will be charged until the end of the next payment cycle). If a parking permit is not returned by 10.15am on the day of departure, a fine will be charged. Similarly in the event of keys not being returned, we reserve the right to charge guests for lock replacement, key replacement, building fob replacement, car park fob replacement. In the event of a late check-out or refusal to vacate the apartment by the booked check-out time, we reserve the right to remove all persons and property from the apartment. Any items left in an apartment past the agreed departure time are left at the owners risk – we accept no responsibility for these items and reserve the right to remove and store them. Lost property is kept in storage for no longer than 30 days and safekeeping is not guaranteed. All guests are given one set of keys (and fobs etc. ), unless a second set is pre-arranged when booking. Second sets can be arranged after check-in but this is at the discretion and availability of the Bourdeaux Ltd management. Valid credit/debit card details must be supplied at the time of booking, in the event of damages to the apartment these card details will be used to charge the appropriate fines. We reserve the right to deduct from the relevant credit/debit card, without prior notice, all amounts chargeable under these conditions. The apartments should be left in a reasonable state on departure, if (at our absolute discretion) we consider additional specialist cleaning is required (for example carpet cleaning to remove a stain), we will charge an additional fee of £150.00+VAT. When the duration of the booking is in excess of 28 days, a discretionary final cleaning charge of up to £150+VAT may be charged If an apartment is deemed unfit for occupation, you will be obliged to pay compensation to us for loss of revenues in Addition to the costs of cleaning and repair. We reserve the right to Charge £150 + Vat (in addition to the general cleaning charges) for specialist cleaning to an apartment and/or its contents where it is left in an exceptionally bad condition or if we believe smoking has taken place in the apartment. Damages: Damages to the apartment or contents must be paid in full by you. In the event of Any breakages or damage discovered whilst your stay or after you vacate, we will notify you by e-mail or telephone immediately or within 10 days of your Departure, providing a detailed breakdown of the damage and where is possible a cost of rectification. Where Possible, photographic evidence will also be supplied. It is your responsibility to check all items & that there is no damage to these items. 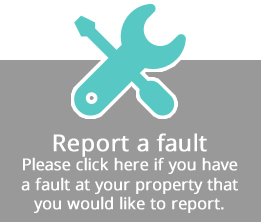 Condition reports can also be provided at the beginning and at the end of the accommodation period if requested. Nothing in these terms and conditions limits or excludes our liability for death or personal injury resulting From our negligence or for any damage or liability incurred by you as a result of fraud or fraudulent Misrepresentation by us or any liability that cannot by law be excluded. Fire, flood, lightning, explosion, fog or bad weather, interruption or failure of a utility service (including but Not limited to electricity, gas, water or telecommunications), renovations undertaken at the property, strikes, lockouts or boycotts, embargo, blockade. Car Parking: Each apartment has 1 free parking bay only, the space will be available from 2pm on the day of Arrival and must be vacated by 10.15 am on the day of departure unless otherwise agreed in writing at the time of the booking with Bourdeaux Ltd. All additional cars must be parked in the nearby pay & display parking areas. On departing: Parking Permits for The Hub and Jade House must be returned on day of departure by 10.15am, if the parking permits are not returned by 10.15am on the day of departure, we Bourdeaux Ltd reserve the right to charge a £100 + vat fee. If there is a delay in departing then Bourdeaux Ltd reserves the right to charge for an additional night’s stay/s. If vehicles have not been removed by 10.15am on the day of departure then additional car parking Charges will be payable of £15.00 per hour + Vat. If vehicles have not been removed by 2pm on the day of departure then we reserve the right to clamp Vehicles and a charge of [£200 + Vat] will be payable to release the clamp If a clamp is forcibly removed then a charge of [£200 + vat] will be payable plus the cost of repairing or replacing, the damaged clamp all vehicles and their contents are left entirely at their owner’s risk We will not be liable for the theft of or damage to your vehicle or its contents A gate is located at the entrance to the onsite car park, and we ask that all guest ensure that this gate is Closed securely behind them at all times Although all endeavours are made to ensure that the car park entrance gate remains shut at all times, Bourdeaux Ltd holds no responsibility for the entrance gate being left open. Within 14 days of any deduction of any additional charges from a debit / credit card, we will provide you by e-mail or otherwise with a breakdown of the additional charges. In relation to any additional Charges. The hirer is responsible for taking all reasonable care of the property and its contents. The property and all equipment, utensils, furniture etc. must be left clean and tidy at the end of the hire period. Except in the case of normal wear and tear. The hirer will be responsible for making good any damage to the apartment or its contents which has occurred due to negligence, wilful damage or irresponsible Behaviour on the part of those occupying the apartment or their guests. Such damage must be reported, without delay, to our office. The cost of the repair or replacement must be paid to Bourdeaux Ltd. Should an apartment require a deep clean due to misuse or smoking then An additional charge of up to £150.00 + vat will be incurred by the guest. The hirer is responsible for booking undertakes that no person will suffer anything to be done which would Endanger the policy of our insurers in respect of the apartment and its contents which might make the same Void or avoidable. We cannot be held responsible for any theft and/or damage of your personal belongings during your Stay in any Apartments booked. Therefore you are advised to ensure you have appropriate Insurances in place. All warranties, conditions and other terms implied by statute or common Law or otherwise are, to the fullest Extent permitted by law, excluded from any contract with us and these conditions shall apply in their place. We regret that we cannot accept liability for any loss, damage or additional expense where the booking needs to be altered or cancelled or we are unable to perform our contractual obligations As a result of events of ‘force majeure’. In these Booking Conditions ‘force majeure’ means any Event which could not have been reasonably foreseen, or the consequences could not have been Reasonably avoided, by us or the suppliers of the relevant services in question, even with the Exercise of all due care. Such events may include war or threat of war, civil strife, terrorist activity, Industrial dispute, natural or man-made disaster, fire, adverse weather conditions and all similar Events outside our or the relevant suppliers’ control. Nothing in these terms and conditions shall affect your statutory rights if you are a consumer. These conditions and terms of contract and all matters arising there from are subject to the Law of England and Wales and in the event of dispute, the client will be subject to the Exclusive jurisdiction of the courts of England and Wales. Bourdeaux Ltd has the right to terminate a booking at any time on the grounds of Partying, playing loud music, General Nuisance Behaviour, Abusive to staff or other guests, mistreatment of the apartment, non-payment or criminal activity on the Part of those occupying the apartment or their guests. In such circumstances, Bourdeaux Ltd is not obliged to provide or locate alternative accommodation. The period of notice is at the discretion of Bourdeaux Ltd.
Bourdeaux Ltd cannot be held responsible for any personal injury to any guests while in one of our apartments. Nor can we be held responsible for loss or damage to personal effects howsoever arising at the accommodation. Neither we, nor our representatives, can be held responsible for any circumstances beyond our control including, but not limited to, mechanical breakdown, illness or failure of any Public service supply. Representatives of Bourdeaux Ltd or their subcontractors have the right of access to the property at any time, with due regard to the convenience of the hirer, for the purpose of Inspection of the property and to carry out any essential repair or maintenance work. Regrettably no pets of any kind are permitted under any circumstances. The client is liable for any infringement of this rule. Bourdeaux Ltd Management has the right to terminate your stay, if they deem such behaviour has occurred. In the event of such a breach, No refund will be made if such behaviour is deemed to have occurred. A surcharge of £150 + vat will be made if evidence of pets is discovered in the apartment. Smoking is not permitted in the apartments or in the internal communal areas of the apartment blocks. Smoking is permitted on external balconies where present in an apartment only. A surcharge of £150 + vat will be made if evidence of smoking is discovered in the apartment. We do not expect and certainly do not want dissatisfied customers, but in the event that you are not entirely satisfied with the service offered, you should notify any complaint to our office as soon as possible to Bourdeaux by email to info@bourdeauxs.co.uk. We will take all reasonable steps to settle the problem. Bourdeaux Ltd shall not have any Liability for any complaint submitted after the completion of the rental period. All information supplied by Bourdeaux Ltd, is given in good faith and is based on Information available at the time. All reasonable measures have been taken to ensure the accuracy of any statement made either in writing or otherwise, but Bourdeaux Ltd is not liable for any variation however caused. We at Bourdeaux Ltd have the right to add or remove any of its services or facilities without prior notice. Interest on overdue invoices shall accrue from the date when payment becomes due, From day to day, until the date of payment, at a rate of 4% above NatWest Bank base rate in force at the time and shall accrue at such a rate after, as well as before any judgement. All the apartments are occupied as serviced apartments and on this basis no rights of tenancy are created, they are exempt from security of tenure under the Rent Act. Bourdeaux Ltd reserves the right to access the apartment and or terminate your stay at any time without prior notice if it deems necessary. The apartments cannot under any circumstances be used for partying, playing loud music or General nuisance behaviour. Guests must have regard for other occupants in the building. Bourdeaux Ltd Management Reserve the right to terminate your stay if they deem such behaviour has occurred. In the event of such a breach, no refund will be made, if such behaviour is deemed to have occurred and an additional fee of £250 + vat will be charged. An additional fee of £150 + vat will be charged for any extra cleaning to the apartment. The number of people permitted to occupy each apartment is limited to the number of beds. In some apartments extra beds can be provided and this will be at an extra charge to be agreed at the time of booking. Hen/stag & Group Bookings, We do not knowingly accept bookings of this nature. Group bookings will be required to give a reason of their stay. If the booking is allowed and guests are found to be holding parties of any kind, you will be evicted immediately with no refunds due & a fee of £250 + vat will be charged. Use of the apartments for any behaviour deemed by the management of Bourdeaux Ltd to be inappropriate or illegal will result in the immediate eviction of all guests without refund and, where necessary, reporting to Thames Valley Police for further investigation. * Our website (and/or other means of promotion or advertising) may contain a plan of the layout of the apartment. The plan will only be a general representation of the accommodation. Actual unit size, design, fixtures, furnishings and facilities may vary from those shown on the plan; We, Bourdeaux Ltd, have the right to add or remove any of its services or facilities without prior notice. * We shall use reasonable endeavours to retain any items left in apartments for up to 1 month after the guest’s departure date. Please email info@bourdeauxs.co.uk for enquiries relating to any lost items. All promotional codes promoted and distributed by Bourdeaux Ltd via web/email/print/phone are subject to change/expiry/refusal at any time. Bourdeaux Ltd reserves the right to change/refuse the details of promotions without notice. All valid promotions/discounts are added to the order before payment when booking, this allows clients to see whether or not the promotion has been added to the order. Bourdeaux Ltd cannot apply discount/promotional codes for bookings over the phone or after the order has been placed. Promotional codes are only valid on bookings made directly through www.bourdeauxs.co.uk, they cannot be used in conjunction with bookings via partner sites, email, or phone calls. Bourdeaux Ltd often provide toiletries & condiments on arrival, these are complimentary and provided at the discretion of Bourdeaux Ltd. Toiletries, condiments etc. will not be replenished throughout the stay, it is not the responsibility Bourdeaux Ltd to provide such items. As standard, Bourdeaux Ltd will often (but is not obliged to) provide the following on arrival; Sample of washing up liquid, one toilet roll, one dishwasher tablet, one jay cloth, one bin bag, selection of toiletries, complimentary condiments.